He has long been recognised as one of the many legends surrounding one of the world's most uncompromising sports car brand - Valentino Balboni, a remarkable test driver with his own unique persona. 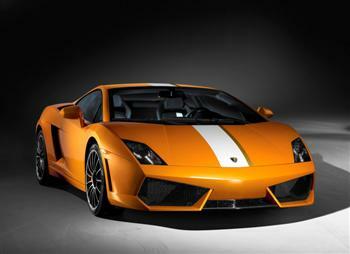 Automobili Lamborghini now presents a model in his honour and bearing his name - the Gallardo LP 550-2 Valentino Balboni. The latest version of the Gallardo, Lamborghini's most successful model of all time - overall, more than 9,000 units of the model range have already been manufactured - boasts not only its own distinctive design and exclusive equipment, but its technology is unique too, as indicated by the model badge: the 550 stands for the power output in hp and the 2 is for rear wheel drive. For several decades, Valentino Balboni has had a distinct influence on the 'character' of the super sports car bearing the sign of the bull. With his fine-tuning and testing work, he has helped to shape many automotive legends, from the Lamborghini Miura of the 60s through to the current Gallardo and Murciélago models. Balboni was hired in 1967 by company founder Ferruccio Lamborghini himself. From early on, it was evident that the young Balboni had a special feel for cars, that most sensitive of all instincts that connects to the 'life blood' of an automobile and defines the soul of a test driver. "A Lamborghini must always combine the precision of a race car with the reliability of a good friend," says Balboni. Since 1973, he has sat at the wheel of every prototype built by the brand, and even many production cars have passed through his hands before being delivered to their customers. This has turned Balboni into one of the most important representatives of the brand, with an outstanding reputation and status among the brand's enthusiasts and customers worldwide. 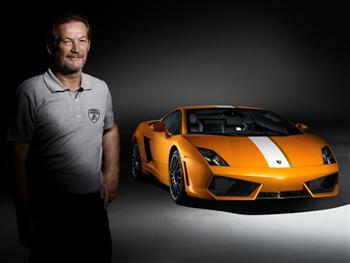 After over 40 years with Lamborghini, Balboni is now retired. Yet, Valentino Balboni continues to travel to many countries around the world as an ambassador of the brand. The special exclusivity of the Gallardo LP 550-2 Valentino Balboni is guaranteed - it is limited to 250 units. With this latest version of the Gallardo, Lamborghini is honouring its long-standing test driver in a very special way. The LP 550-2 Valentino Balboni was conceived in line with his own thinking, and it meets many customers' requests for a model with a unique 'character', which offers a very special kind of active driving fun. The Balboni model is the only current Lamborghini that delivers its power to the road via its rear wheels alone. Rear wheel drive has a special appeal to those sports car drivers who enjoy a particular driving style. Thanks to the eminently powerful V10 driveline, controlled oversteer is no problem - naturally always to the extent defined by the driver - because refined road manners and perfectly tuned assistance systems mean that the Gallardo LP 550-2 Valentino Balboni is an exceptionally safe sports car to drive. In order to shape this unique 'character' that combines driving fun and safety, the engineers at Sant'Agata Bolognese have incorporated extensive modifications into the LP 550-2 Valentino Balboni. It was not simply a question of moving the transmission to the rear axle, the vehicle had to be adjusted and tuned in every element of its driving dynamics. This includes springs, dampers, stabilisers and even the tyres. The aerodynamics were also adjusted to take account of the change to the power flow. The rear axle differential, with a 45 per cent limited slip, was also redeveloped, as was the calibration of the e-gear transmission. 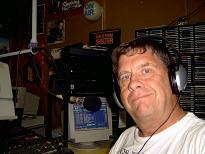 One significant point was the adjustments made to the ESP system. While the standard programme is focused on high stability, the CORSA programme permits greater drift angles, thus enabling drivers to enjoy the dynamics of the LP 550-2 to their full extent. Adjustments have also been made to the very heart of the Gallardo, the 5.2 litre ten-cylinder: the perfect synthesis of hi-revving pleasure, pulling power, a constantly exuberant 'temperament' and a powerful symphony played in all keys. In the Valentino Balboni, the compact and lightweight power unit generates 405 kW (550 hp). At a dry weight of only 1,380 kilogrammes, this guarantees outstanding performance: the LP 550-2 is catapulted from 0 to 100 km/h (0-62 mph) in a breathtaking 3.9 seconds, while the top speed of 320 km/h (199 mph) guarantees its place among the ultimate in super sports cars. The Valentino Balboni is not only unique in terms of its technology: its design and equipment reinforce its exclusivity. Its classic sporting character is emphasised by a colour strip in white and gold running from the front panel over the roof and parts of the engine cover all the way to the rear spoiler, with inspiration from the classic sports cars from the '70s. This colour treatment underscores the powerful elegance of the Gallardo and emphasises the unique Lamborghini design 'DNA'. The Special Edition is available in eight colours, from Bianco Monocerus through to Verde Ithaca, or Arancio Borealis to Nero Noctis. The Scorpius wheels retain their dark grey finish, while the brake callipers come in black, orange or yellow, depending on the exterior paint finish. 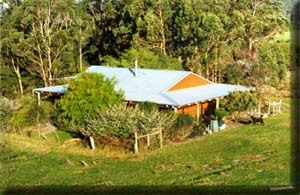 The characteristic colour combination is repeated in the interior. The basic colour of the full leather upholstery is black. Both seats, however, feature the colour strip in white. The centre console is completely upholstered in Polar white leather to provide a powerful accent. A badge below the left side window bears the signature of Valentino Balboni and the production number of the car.